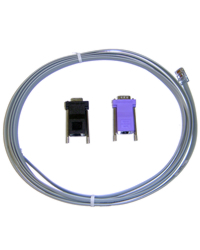 This realtime cable & adapters is used to connect your Stentura Protégé to your computer for realtime applications. * If your computer does not have a 9-pin serial port, you will also need a USB to Serial Cable. Product names and images used in this web site are for identification purposes only and may be trademarks and copyrights of their respective companies mainly Stenograph, L.L.C. We have attempted to recreate the appearance of all items as closely as possible, but the detail in color you see will depend on your monitor. Acculaw, Inc. it's NOT affiliated in any way with Stenograph, LLC. 2019 Copyright © Acculaw, Inc, All Rights Reserved.